Undergraduates of other universities: Usually we do not offer paid summer internships unless in exceptional cases. If you have your own financial support or scholarship to try nevertheless, please send your CV. Ph.D. candidates: We have PhD openings in Quantum Physics and Quantum Simulation (for logistic details, refer to the CQT PhD programme but don’t start by applying there, write to the group leader first). Postdocs: We constantly look for motivated junior or experienced postdocs with a strong background in quantum information or quantum optics, or condensed matter physics. Areas of interests in the group include quantum simulation and computation, quantum many-body dynamics, driven quantum systems, topological physics, quantum machine learning. Platform wise we work with superconducting qubits, ions, integrated photonic chips and cold atoms. Industry and Press: Please see Industry and Outreach. The positions are within the Quantum Optics and Quantum Simulators Group lead by Dr. Dimitris G. Angelakis in the Centre of Quantum Technologies (CQT) (http://www.quantumlah.org). The group’s research interests span most aspects of theoretical quantum physics and its applications in implementing quantum computation and quantum simulations. The PhD projects will involve the study of current or near future quantum platforms such superconducting qubits, cold ions and atoms and quantum nano-photonic devices for building quantum simulators and quantum computers to tackle problems in materials science, chemistry, finance and business sector. The projects will be theoretical, but involve collaboration with leading worldwide experimental groups for the implementation part. Projects will involve analytical and numerical work combining quantum physics and quantum information tools as well as algorithm design and quantum machine learning approaches. The candidates should have a solid undergraduate background in Physics and ideally have some knowledge of quantum optics and basic aspects of quantum information/condensed matter. They should be within the top 5% of students in their year. A strong background in quantum physics and in using numerics for simulating physical problems will be a plus as also participation in international competitions such as Math or Physics Olympiad for example. Exposure in Atomic, Molecular, Optical physics and/or quantum information at the level of an MSc course is also an advantage. The current group consists of two postdocs three PhD students, and one MSc student. We are in close contact with other theory and experimental groups in CQT and have ongoing strong collaboration with leading experimental and theory groups in Europe and the US. These PhD positions will be CQT based with opportunities to visit the corresponding collaborators’ groups. The positions are fully funded and include travel funds and funds for buying a computer and books. The positions are available as soon as possible and we accept applications until a suitable candidate is found. Inquiries should be first sent by email to dimitris.angelakis-at-gmail.com before applying via the official channel. They should contain a detailed CV, a one page motivation letter and the contact details (email) of three referees. 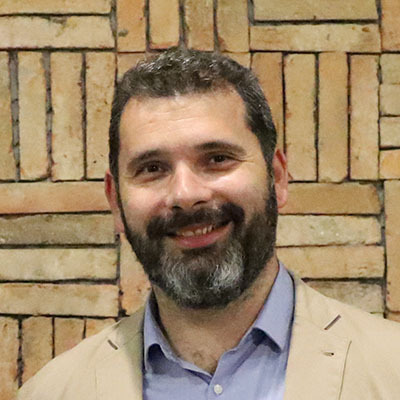 The position is in the group of Dimitris G. Angelakis in the Centre for Quantum Technologies Singapore (www.dimitrisangelakis.org). We are looking for highly motivated candidates with a strong research background and a PhD in quantum information and/or condensed matter or related discipline with experience in research in quantum algorithms and/or machine learning. Past work in applying quantum computing to solve problems in industry and business sector in general and especially chemistry or finance, will be a strong plus. A strong publication record in high impact research journals and a solid background in analytical and numerical modelling is a requirement. The group’s research interests range from implementations of quantum simulation and computation with superconducting qubits, light-matter systems, cold ions and atoms, to quantum many-body physics and exotic phases of matter, driven quantum systems, and topology for quantum technologies (see group website). The group has active collaborations with world leading theory and experimental groups in quantum computing and quantum simulations in Europe and US. The position is available as soon as possible and can be up to 3 years with possible extension to 5 years. We accept applications until a suitable candidate is found. Candidates should first contact the group leader Dimitris G. Angelakis sending their CV, up to two publications they consider their best/relevant for the post, and a research statement of maximum 3 pages in length summarising their past research and future plans.